Kerala, among the world’s top 10 paradise listed by the National Geographic Traveler, boasts of a unique topography and culture. As an Indian who loves to travel, it had been a long dream to plan offbeat trip to backwater country and finally I did something about it! I took a couple of days off from my work and arranged for a lengthy vacation with my friend from Kerala. When you had been working for a whole year in glass offices, even a small trips such as this are a breather. It took me just a couple of hours to reach Kochin from Ahmedabad and I didn’t want to lose any time. After the mandatory greetings me, cousin Vimal and his family took directly towards the Athirapally Waterfalls from Kochin airport. It took us another 2 hours of drive and we were there by 3 PM, we had to spend 15 minutes locating empty parking space as it was bit crowded due to weekend. Luckily we got one empty space nearby entry gate of Athirapally waterfall. 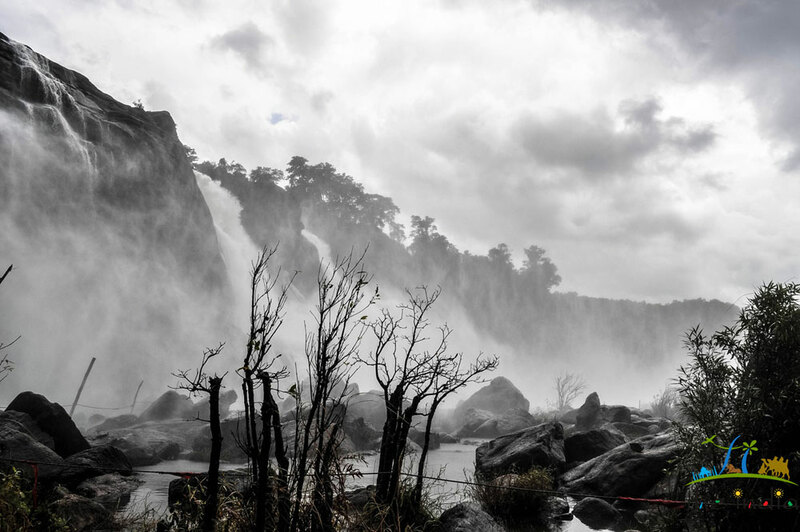 If you care to know, Athirapally is the famous waterfall you would have seen in the Bahubali movie sequence. This is where Bahubali embarks upon his journey to find the love of a lifetime and find his lost mother and this is where we too start our journey to experience ‘God’s own Country”! It’s not as huge as was shown in the movie but 82 feet of gushing water isn’t a joke either. The 25 meters of hiking to the top of the waterfalls can be quite risky as you are always on loose rocks and slippery terrain. 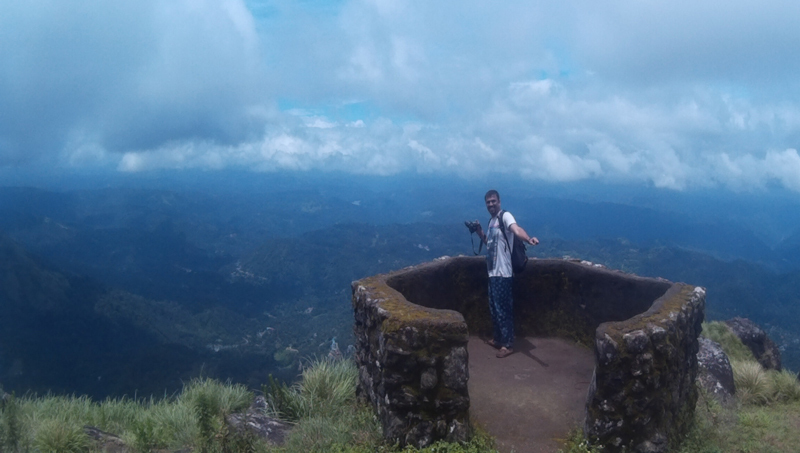 A photograph from the top of the Athirapally was therefore mandatory. We spent a while on the top of the falls, relinquishing the view around and after an hour or so, decided to check the downstream. As we reached the base of the falls, the water was becoming more pure and crystal clear. It has rained a couple of days before, thus clearing away all the debris. My SJCam took some amazing shots from here! By this time, we were already exhausted and the sun had already come up quite harsh. Well, who would have missed the opportunity of drowning the sweat in the cool waters of the Chalakudy! The Chalakudy is an upstream river but flows smoothly enough to let you sleep on the rocky bed with your head still above the water level. We loved the experience. After an hour of soaking in, we got dressed up and after having some local breakfast, started towards Vazachal. Vazachal is another amazing waterfall, just 7 km away from Athirapally. 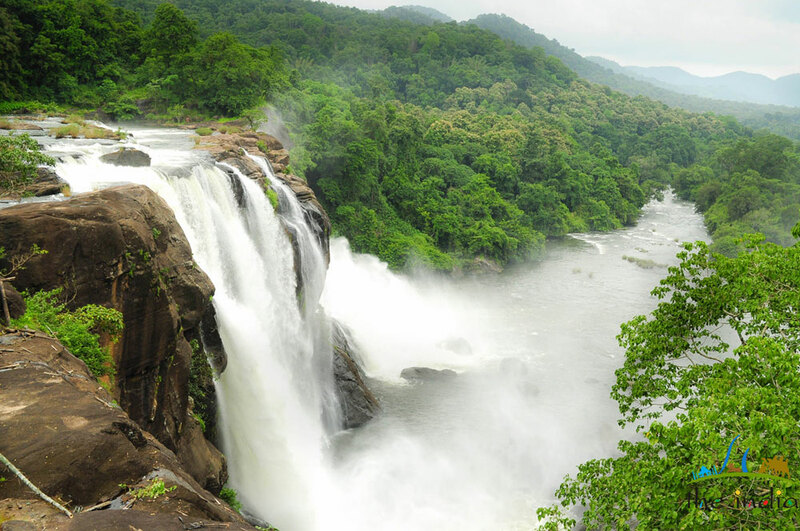 Do note that you will have to get your tickets to visit both Athirapally and Vazachal waterfall. The same ticket that got your entry to the Athirapally Waterfalls will get you through Vazachal also! Do care not to throw away the ticket in all the excitement. The per person entry charge covering both the falls is INR 30, camera & parking charges will be extra. The Vazachal fall (it was more like a flawing river) at the view point, set amidst the Sholayar Forests; it is a scintillating experience sitting around the thick dense greenery and with the gushing waters breaking the silence. I would advise everyone visiting Vazachal waterfall a full fifteen minutes of silence at the least. Breathe in the nature around and you certainly will feel rejuvenated. The photographs of the Vazachal Waterfalls really came out well and I was already humbled on the first day of my trip. It was already 6.00 PM in the evening and we decided to make it a short day. My stay was arranged at Vimal’s house in the Kakkanad area of Kochi but there was another stop to be made before we call off the day. 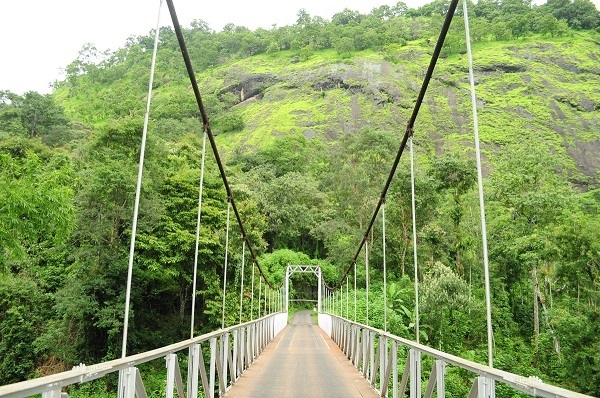 The famous Hanging Bridge in Thumboormuzhy came in the way itself and was another unique experience. This rather new suspension foot bridge was opened for the public in January 2015 and offered a picturesque view of the Thumboormuzhy Dam, the River View Garden, the Ezhattumukham Eco Village and the Butterfly Garden. 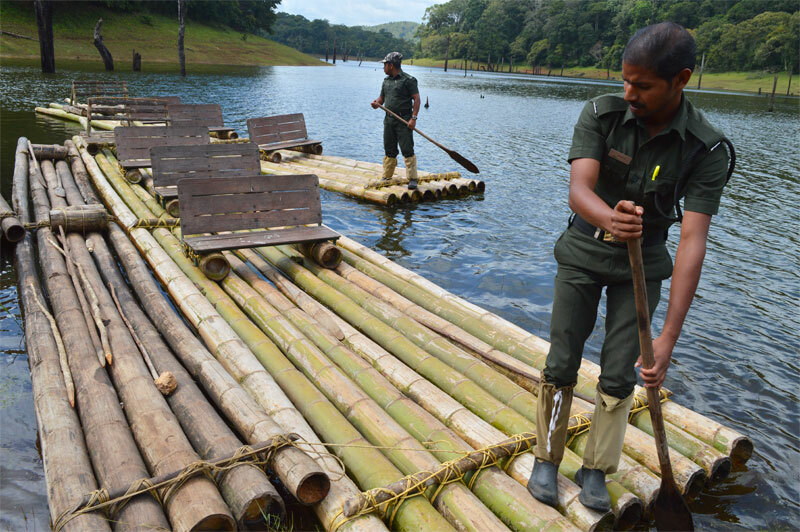 The foot bridge has been built across the Chalakudy River to connect two important tourist hotspots – the Ezhattumukham Eco Village and the Thumboormuzhy Dam. The middle of the foot bridge also gives an awesome view of the flowing river as it forces downstream. I had a word with local guy who told me that If you are a Lepidoptera (butterfly) enthusiasts, this place is a must visit as it promises more than 180 species in the winters! Though, I want’ so much into the species part, I did promise to be back at this place with more time in my hand. We ended the day with a scrumptious dinner of Gujarati food at a beautiful place surrounded by trees with beautiful sound of flowing river. I loved it all and went to an early sleep. I had already wakened up at 6 o’clock in the morning and had been out in the garden breathing in the morning freshness. I did my yoga and by 7, and after delicious breakfast I reached at Infocity gate. Now, it was time to be with friends! 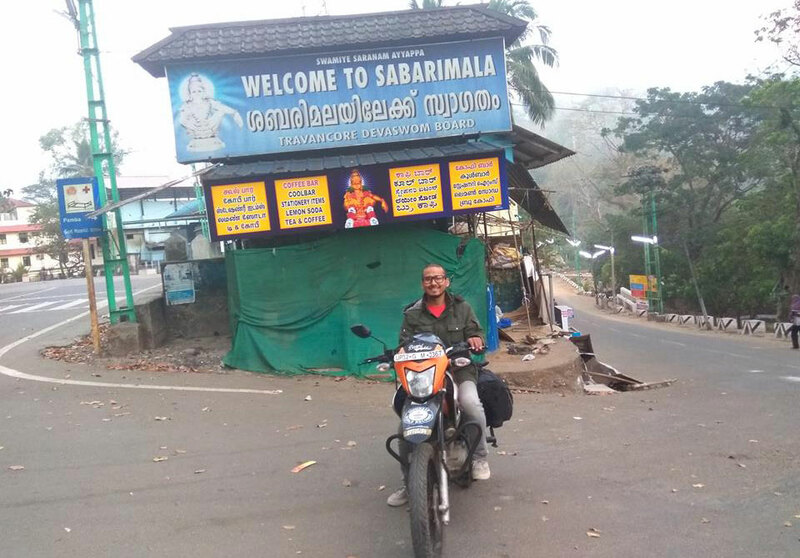 My long time friend Sreekumar was already waiting at the gates and without losing any more time, we started off for Munnar. It was going to be a long drive and we stopped at the next popular restaurant named "Rasa veg restaurant" for some tea and snacks. This would be a nice place to have your food, especially if you are seeking a pure-vegetarian place. 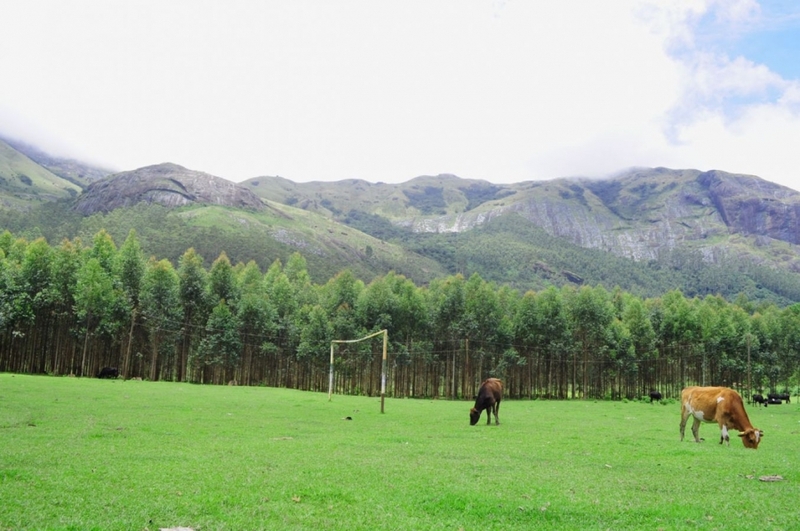 Located at just 13KM down towards the Munnar from Kothamangala, Rasa also has beautiful scenic view. It was raining and the hot cup of team was the biggest relief to the throat. 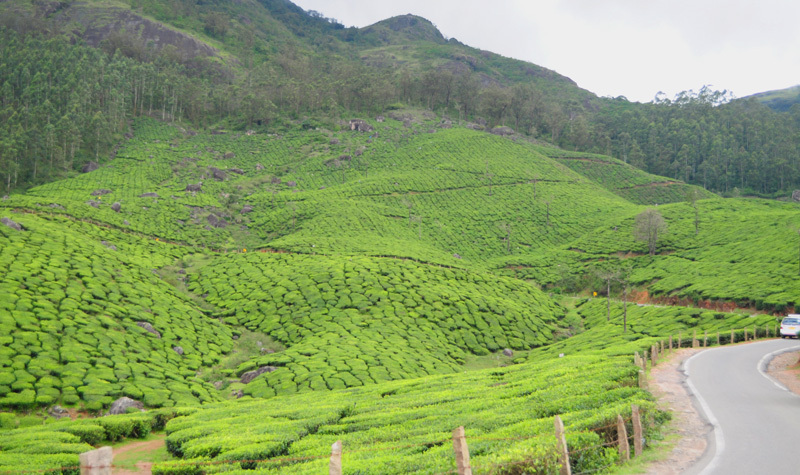 The journey from Infocity towards Munnar will certainly be able to open up our senses. The insightful discussion about tourist places in Kerala and the beautiful landscapes around was a perfect combination for nostalgia and the special feeling that every traveler as when he/she is contended. Around 12:30 PM, we stopped again to have our lunch and this time, it was another amazing Keralian meal. This was the first time I was having full Keralian lunch and it was great in taste and very healthy too. Few more kilometers and we made our first stop at a waterfall known as the Cheeyappara Falls, it’s an average decent but a beautiful location to make some photographs. We spend around an half hour there before proceeding forward. Just before Munnar was another popular destination that we couldn’t miss. 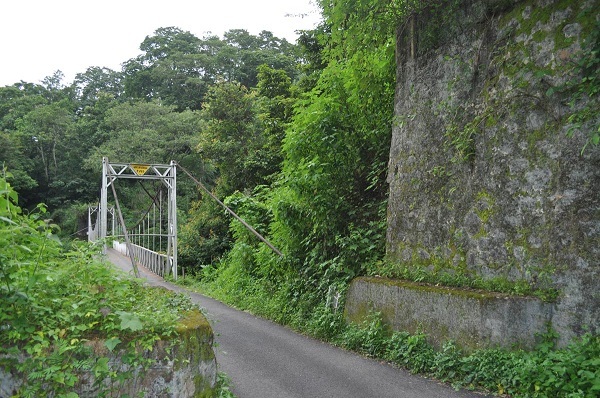 A right turns towards the Sengulam dam and you get to see the unique charm of hill lakes. This is actually a dam that has been turned into a tourist spot. 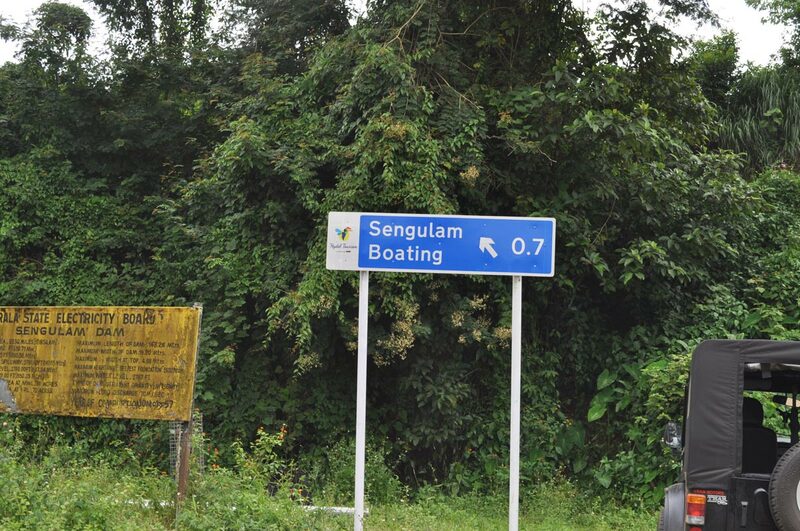 In a nominal fee, you can even opt for a paddle boat or a speed boat to get close to the hills. With the view of the tea terraces long away, this place too gives opportunity for great photography. Another hour pass and we started our vehicle towards the suspension bridge over the Ponmudi Dam. At a certain point, we had parked our vehicle aside to do a small walk to suspension bridge which was built very long time ago. Then we drove towards the Ponmudi dam which was few KM from the suspension bridge and enjoyed the beautiful view around. If you are visiting Munnar and looking for silent places, this could be one of them as only few tourists used to visit these places. It was already 5 pm and headed towards the Chithirapuram region of Munnar which is famous for its traditional Martial Arts known as “kalaripayattu”. It is rumored that it was a martial artist from these parts who started the Shaolin Culture in China. Well, the stunts we were seeing, spoke for themselves. It was great experience watching this traditional martial art form of Kerala and I was honored to interact with the performer who shared their experience demonstrating Kalaripayattu every day. Here are few of my clicks from the live show at Munnar. Overall, it was yet another satisfying day and we came back at hotel with loads of amazing photographs. We had already booked our night stay at Broad Bean resort in Chithirapuram greeted us with warm welcome drink and delicious food. Our third day held something that not many regular tourists to this part of Kerala would seek. 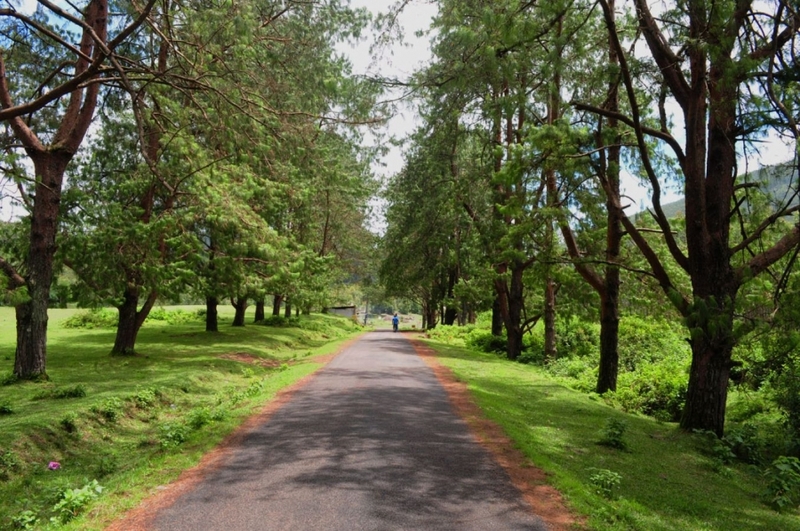 However, if you are seeking some adventure and like to explore the wilderness, the Silent Valley National Park is a perfect escapade. 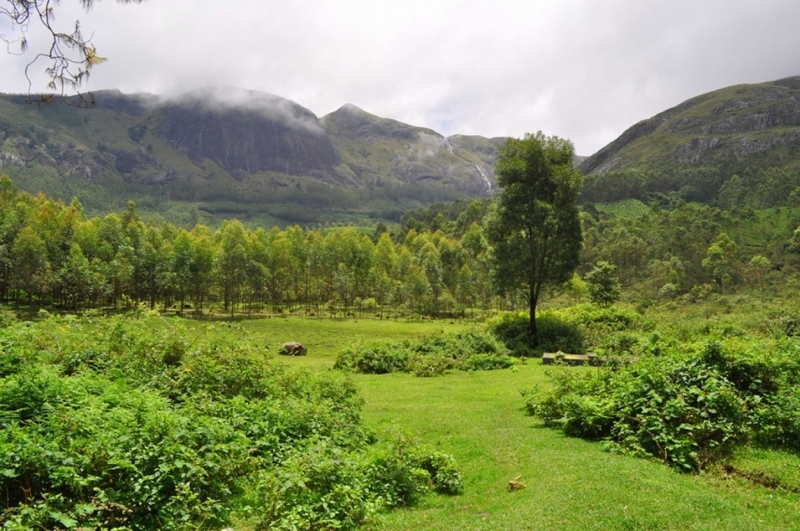 However, be ready for some long walking and trekking around tea plantation to experience this unique place in Munnar. Silent Valley is just 18 kilometers from the town of Munnar and should take you around 1to 1.5 hours on a regular sized car. It’s not the traffic but the landscape that makes the driving difficult. Well, we had a local driver Mr. Jobi to our advantage. After around four kilometers of driving from Munnar along the Mattupetty Road, we saw the first gate to the Silent Valley Park and some security people around. Normally, these people would have misguided you by telling that there’s no further road or you would require a special permission to enter the park, but there’s no such requisite as such. Again, it was our driver Jobi and his experience that helped us get in without a fuss. For someone traveling without experience, all you need to do is be confident and ask for the gates to be opened. There will be no requirement of any kind of pass as far as I know! After driving another fourteen kilometers, there was another gate and this marks the maximum limit till which you can take your vehicle. We parked our car and were accompanied by Jobi for a beautiful two kilometer walk to an out worldly experience. The beautiful valley surrounded by hills and trees was there to greet us. We explored the entire valley and enjoyed clicking the nature. Here you can see Jobi trying his jumping skill and it is one of my favorite shot from my Kerala trip. We had a wonderful conversation with local villagers who shared their experience with us about planning Meesapulimala trekking used to organize by Kerala forest department which require permission. As we were running short of time, we could not plan Meesapulimala this time but will surely do this trek during my next trip. After clicking tons of photographs and video of this beautiful silent valley, Jobi drove towards Mattaputty dam from where we planned to visit “Top Station”. Located on the Kannan Devan Hills, this part of Munnar (located in Tamil Nadu state) is popular for the rare Neelakurinji Flowers (which used to blossom every 7 years and this time we could not find it at top station), the Nilgiri Thar and the blue misty mountains. There’s wasn’t too much cloud that would have made a post card picture but I waited for the sunset to create beautiful colors in the sky instead. This is a space where you will always feel at peace with. 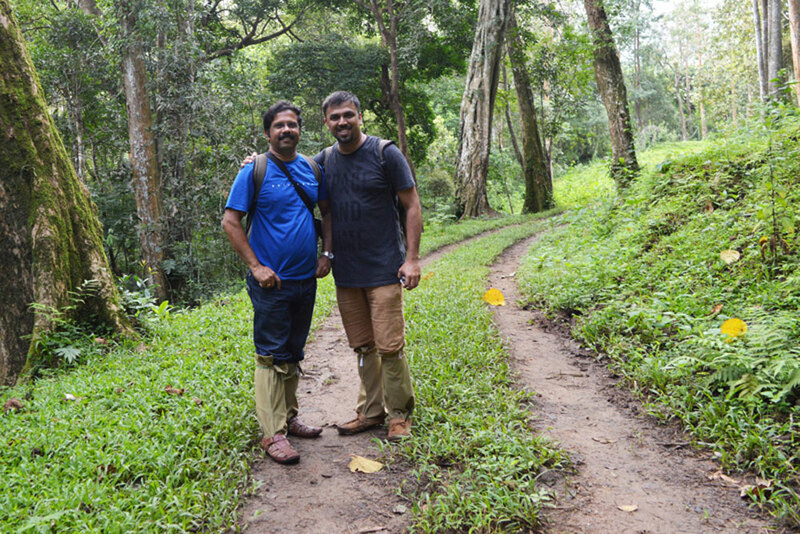 During discussion with local, Sreekumar learned about a day trek in Munnar at Lakshmi estate which gives beautiful views of the city surrounded by tea gardens. He got a reference of guide and arranged a day trek on next day early morning. By 6 pm in the evening, we started back and were at Munnar in another hour. It was quite cold outside and the locally made Kanji (boiled rice with water) was just the perfect dinner for us! 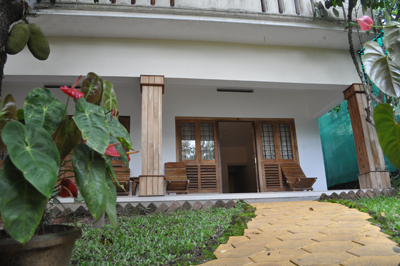 We headed to Hotel C7 in Munnar for the night. We got up early in the morning and after black tea we packed our bag for day trek to Lakshmi estate. 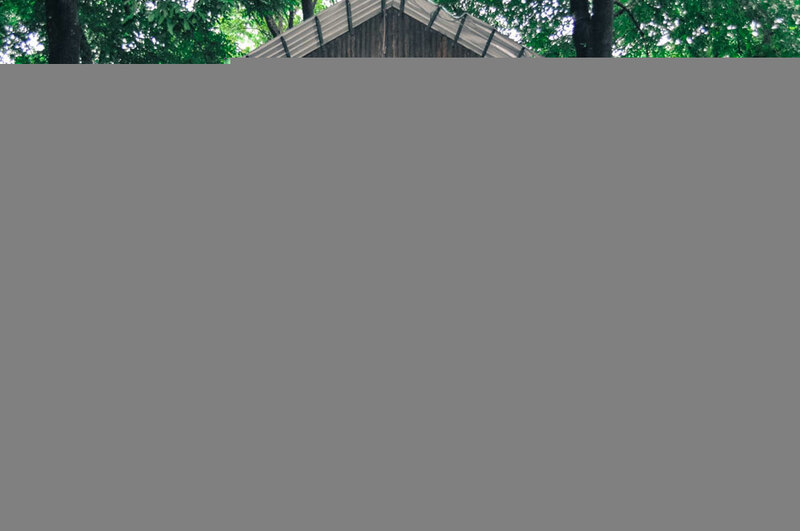 Here I have shared the entire experience about this trekking experience in Munnar. After completion of the day trek, Jobi received us from the taxi stand and we directly started our journey to next beautiful destination Thekkady. 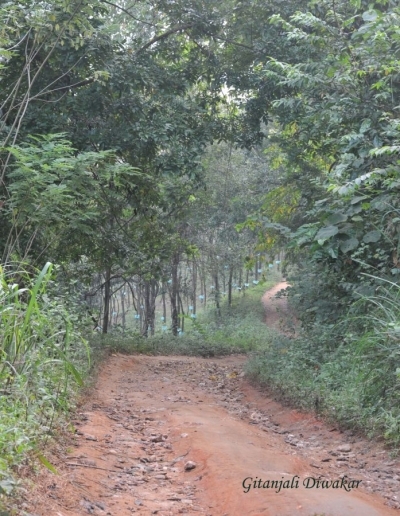 The route was very beautiful surrounded by green lush trees and tea plantation. We also visited lock heart gap view point on-route and clicked some photographs of the serenity. Our schedule for the next day was already fixed en-route and this was the biggest surprise for me. Thekkady has been another dream comes true for me. The largest of all wildlife sanctuaries in the country, it’s bountiful in tropical flora and fauna. 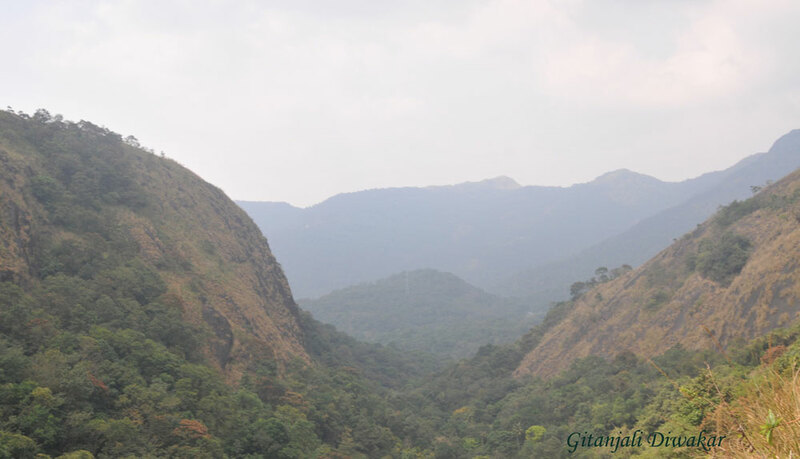 If you are a worshipper or nature and wildlife and would dare to explore the unknown, Thekkady is the place. 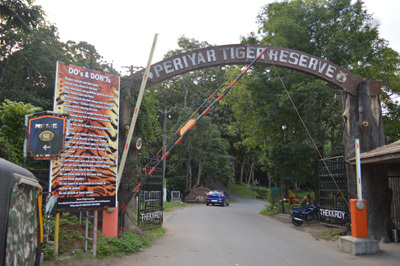 The most popular of spots around Thekkady is the famous Periyar Tiger Reserve. 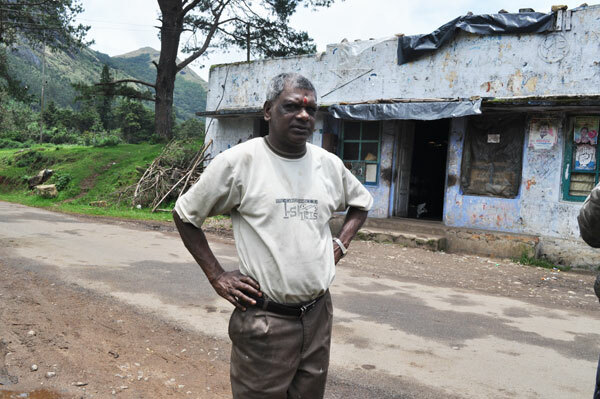 We reached Thekkady by evening and received warm welcome by Mr. Joseph, the owner of Green court cottage. 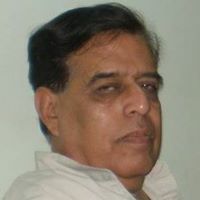 Mr. Joseph is a personality that will immediately intrigue you and I was blown over the way he depicted how he build Green court cottage single handedly. 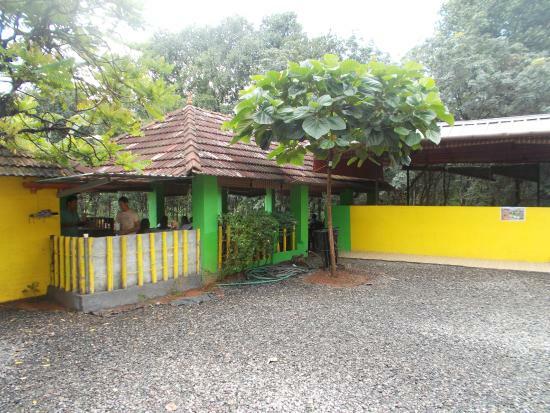 It is beautiful property surrounded by trees and very well maintained by him. 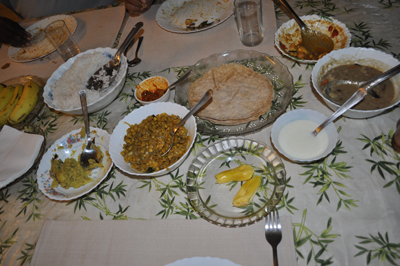 Mr. Joseph invited us to have dinner at his home to experience the real Kerala food. 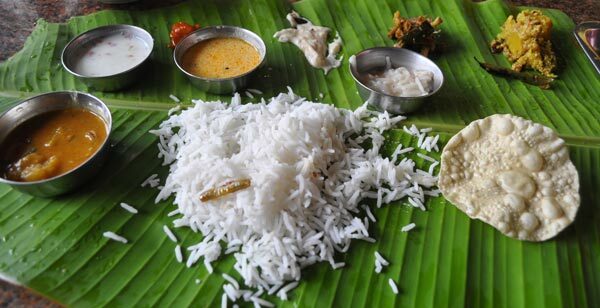 It’s definitely was the great privilege for me to had delicious Kerala dinner packed with jack fruit steamed, coconut chutney, rice, sambar & dal fry etc. I had spent the last evening exploring macro fauna around our stay and the photographs came real good. Sreekumar had already booking ourselves a bamboo rafting boat for the day and this was the biggest surprise I was talking about. We woke up really early to be able to explore the forest road, make a few stops at interesting spots and reach the Forest Department office before 8 AM. For the registration fee, each of us was provided with a small bag containing breakfast (idli, sambar, fruity), a few bananas and a water bottle. 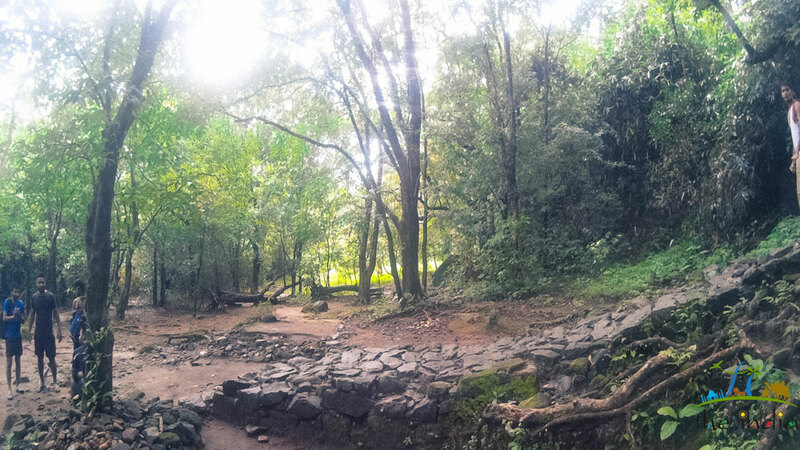 For a jungle life, this was enough to start a day of trekking! The formalities didn’t take much time and we were out on our trek at sharp 8 AM. 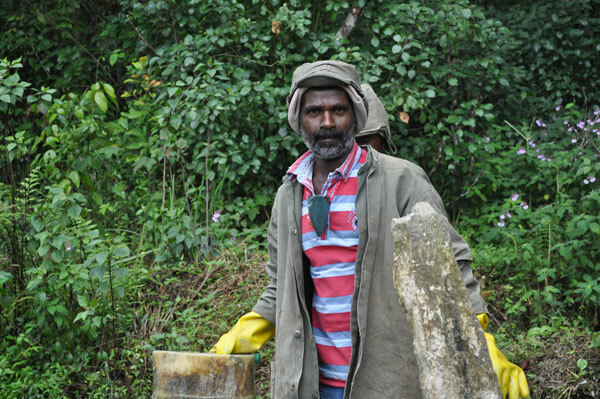 It took almost one hour and forty five minutes to cover the 6 kilometers distance on the jungle road to reach the periyer lake. 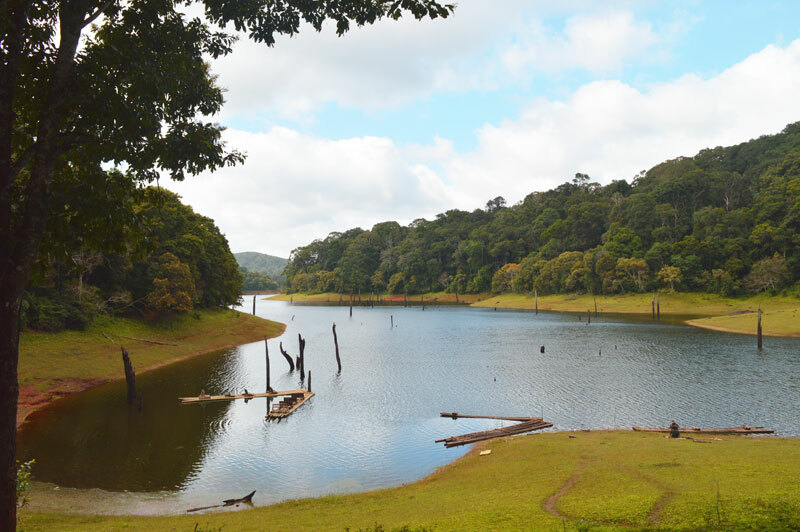 The Periyar Tiger Reserve in Thekkady offers nature’s bounty in terms of biodiversity, landscape and calmness. 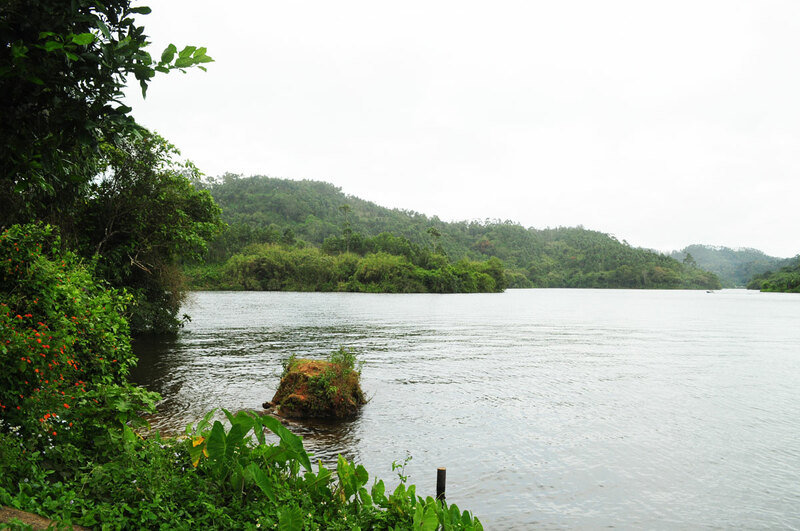 The best part of Periyar is however the watershed created by the rivers, Periyar and Pamba. High up in the famous Cardamom Hills, it falls within the prime boundaries of the Western Ghats and is dotted by the only evergreen forests patches in India. We took our time to get lost in the serenity and when we came back to our consciousness, our bamboo rafts were already waiting to take us in. The next hour was among the most beautiful moments of my entire trip. While the lake itself is blue and bounded by magnificent greenery and small hills on all side, the calmness was being breached only by the creaking bamboos and the sound of water under the oar. The panorama was perfect and we were glad to be a part of it. Our boatman covered the entire lake before we were back on the creek we left from. The side of the lake also presented a great opportunity to do some bird watching. We spotted several special ones including Nilgiri Flycatcher, white bellied blue flycatcher, little spider hunter, great hornbill, oriental darter, Sri Lankan frogmouth and spotted black necked stork. On our way back to the forest office, we also spotted a rare flog of this area – a really beautiful creature but failed to take any photograph as it slithered into the bushes. Overall, it was another special day of my life and by 2PM in the evening we were already back in our hotel and checked out for Kumarakom. 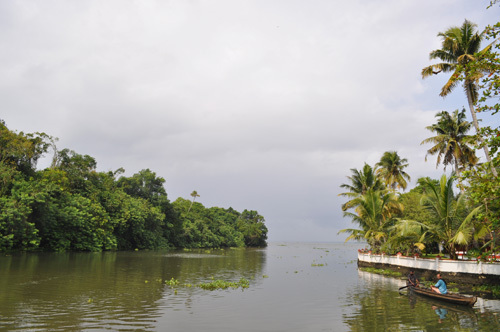 A trip of Kerala isn’t really complete without a canoe ride in the backwaters. 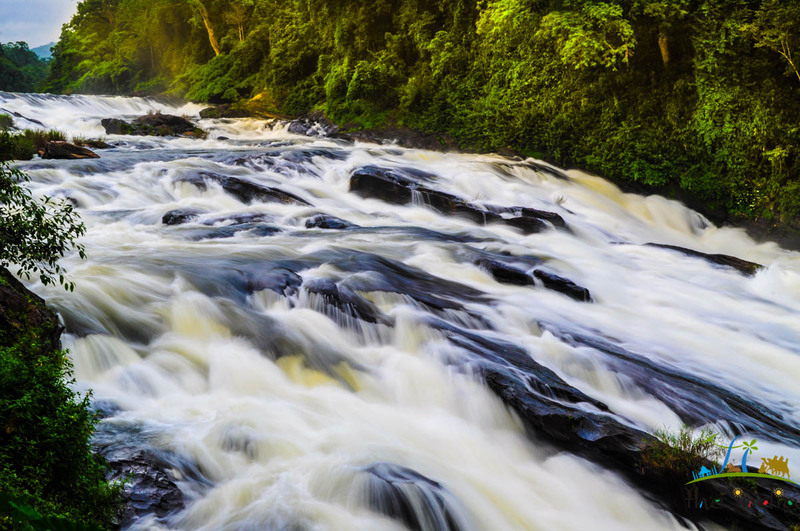 Kerala is the only part of the country where you can experience the wet wilderness in its true form. Well, we were at Karakoram and it was Vembanad Lake to fulfill the experience. 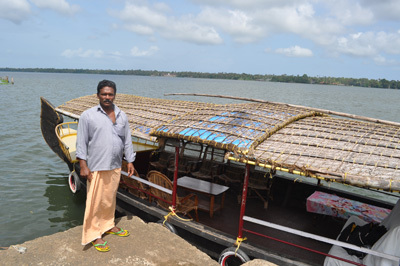 Our canoe was already booked and the boatman, Saji, was at our hotel at 9 AM sharp. After a fulfilling breakfast, we headed towards the jetty and after about fifteen minutes, started the boat cruise. 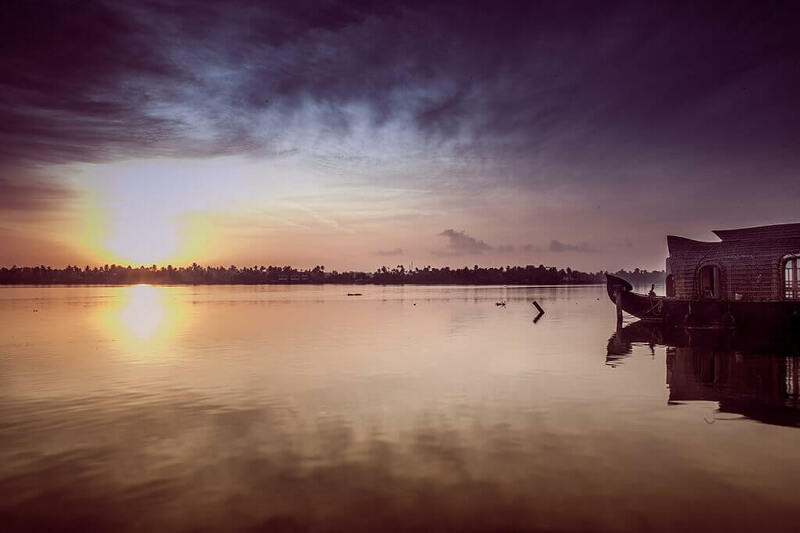 Vembanad Lake holds the record for being the longest lake in India and the largest one in Kerala. The lake actually covers several districts and is also the location for the national level Nehru Trophy Boat Race. 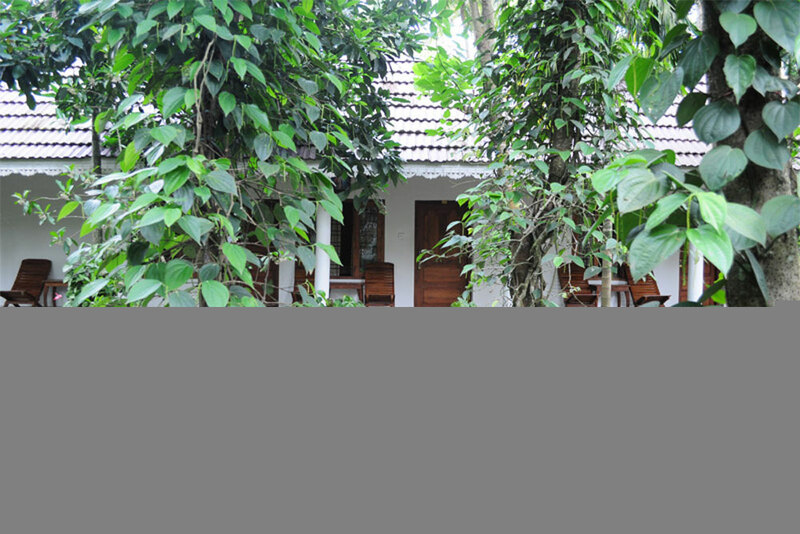 Currently protected under the National Wetlands Conservation Program, it is the heart of Kerala Backwater trips. An intricate network of canals, lagoons and estuaries, it is fed by four major rivers from the state and allows access to all neighboring villages and sanctuaries. Our boat ride was for more than three hours and we took this opportunity do a lot of bird watching, apart from experiencing the serenity of life on waters, of course. The boat ride took us to the Pathiramanal Island, in the middle of the lake. The view here is enchanting! 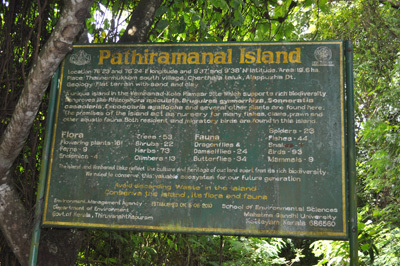 Pathiramanal literally means “sands of night” and apart from the breathtaking greenery, it is also home to some of the most beautiful and rare migratory birds. I was able to add Indian shag, cotton pygmy goose and even the shy monarch flycatcher to my list! After about an hour of bird watching and taking photographs on the island, we headed towards the canal of the Kumarakom Village. The backwaters here is so peaceful that you will be looking to just lie down, close your eyes and listen to the nature around. The sound of beating waters and the chirping all around will sure take you to a new level of high. We did visit some farms and also had one fresh coconut each for free, courtesy of a local farmer! As we headed back to the jetty, a disappointment was brewing inside us. It was the last day of my trip and all is remained was trying to bid adieu to the days that completely changed my life. I had always wanted to become an explorer but it was this trip that strengthened my passion. Well, this trip had the end but I promised to be back to see more of Kerala. The remaining hours of daylight was spent hanging around the backwaters and photographing birds and people in their peaceful coexistence. Here Sreekumar had already planned surprised dinner for me at his beautiful home in Kottayam, located at around 20KM from Kumarakom. It was great meeting his family where I learned about the rich culture of Kerala and recalled the entire Kerala trip. Overall, it had been a very satisfying trip and all credit goes to my friends Sreekumar and Jobi. Compared to my life back home, Kerala taught me the need to lay back ones in a while and enjoy life. After all, what is all this hard work for! If you haven’t been the places and had experiences like this, life is as good as worthless. I realized that the Judgment Day is nothing but us turning into machines. 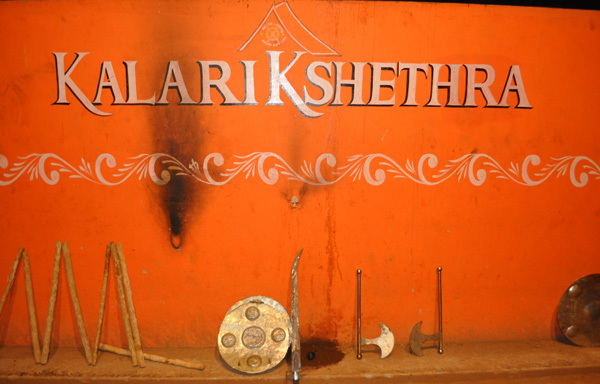 Where can we experience Kallaripayattu performance? 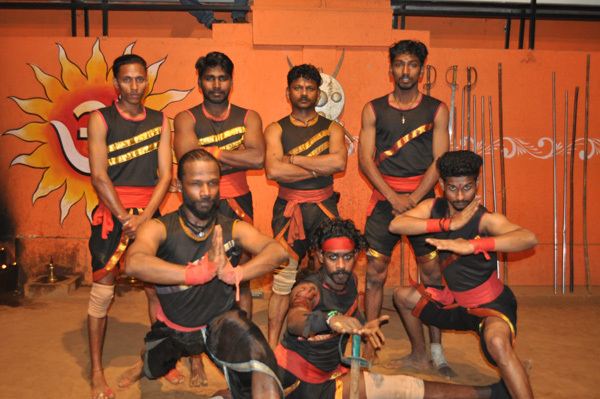 Kalaripayattu performance can be experience in Munnar (Chithirapuram region) or in Thekkady. I had a great experience of this performance in Munnar and strongly recommend anyone traveling to Munnar. Let me know if you need any other information. I have gone through the travelogue of Kerala . You narrated it with utmost simplicity with your overall experience. WELL clicked pics depicts keralite culture and you humbly narrated how the people of state are well behaved and cooperative with tourist. It is a worth reading of this mamoth article to learn about kerala the Gods own land. Click of Jobi is an excellent pic. 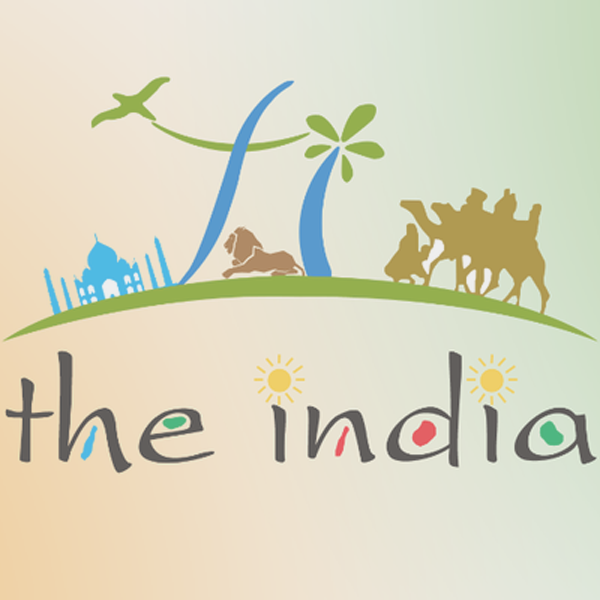 I would like to know more about Keralite way of life and their tradition in next travelogue if it is possible. Thank you very much for your feedback Pragneshbhai, I do agree with you, Kerala is very rich in culture and tradition and I also got a chance to explore the same. Will surely share more information in this regards. Have you ever been to kerala? Would love to know your views as well.